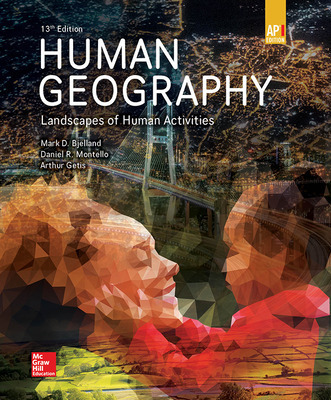 The first AP adaptation of the best-selling college text, now in its 13th edition, Human Geography seeks to introduce students to the scope and excitement of geography while helping them develop an awareness of its relevance to their daily lives as informed citizens. 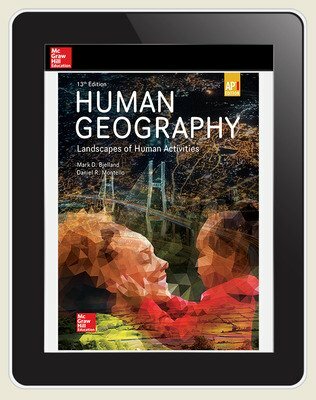 Comprehensive in content, current in data, relevant in interpretation, and fully aligned to the AP curriculum framework, this program conveys the richness and breadth of human geography. The text offers flexibility for use as the core curriculum for a one- or two-semester AP course. The emphasis is on key concepts and theories in human geography, which can then be applied to understanding patterns of human activities and current events. 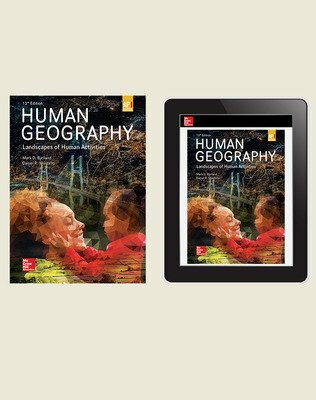 Human Geography introduces students to the scope, methods, and background basics of geography as a discipline and to the tools—especially maps—that all geographers employ. All chapters contain new or revised illustrations, maps, photos, as well as AP correlations, AP key terms highlighted at point of use, end-of-chapter AP test practice, and AP-focused review.